Queen Mother Dr. Welsing, author of the Isis Papers which provides a critical analysis on racism and white supremacy, passed at the start of our new year. Can we take her work and learn from it to change our thinking and actions? White Supremacy and how it affects all aspects of Black lives. 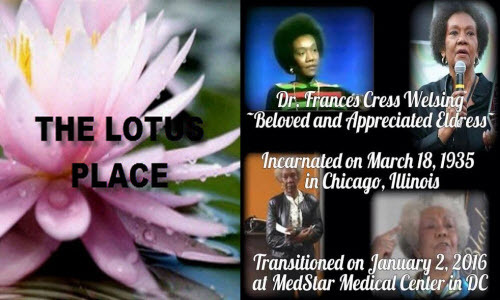 Long lived the spirit of Frances Cress Welsing…. Long lived the spirit of Frances Cress Welsing.